Creative Arts-Based Group Therapy with Adolescents provides principles for effective use of different arts-based approaches in adolescent group therapy, grounding these principles in neuroscience and group process practice-based evidence. It includes chapters covering each of the main creative arts therapy modalities—art therapy, bibliotherapy, dance/movement therapy, drama therapy, music therapy, and poetry/expressive writing therapy—written by respected contributors who are expert in the application of these modalities in the context of groups. These methods are uniquely effective for engaging adolescents and addressing many of the developmental, familial, and societal problems that they face. 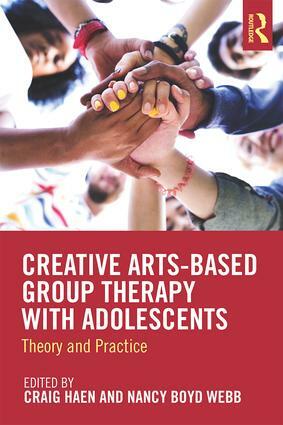 The text offers theory and guiding principle, while also providing a comprehensive resource for group therapists of diverse disciplines who wish to incorporate creative arts-based methods into their practice with teens.